I'll add more videos as I find them and more images as I take them. If your stove is like mine, you don't have handy labels of "medium", "high", or "medium-low", but instead just have numbers 1-10. But I do use the terms all the time. Here's what I mean when I use those terms. I never go up to 10 on my stove dial. If you cook over gas, the labels or numbers should be about the same unless you cook over propane. Propane burns at a lower temperature than natural gas and almost everything needs to be turned up a notch. add: To mix or stir in the ingredients listed in the instructions. al dente: An Italian phrase meaning "to the tooth," used to describe pasta or other food that is cooked only until it offers a slight resistance when bitten into, but which is not soft or overdone. bake: To cook food in an oven, thereby surrounding it with dry heat. beat: Stir rapidly in a circular motion. Often done with an electric mixer. blackened: To cook in a cast-iron skillet that's been heated until almost red hot. Food is usually rubbed with spices before being cooked. The extra hot skillet combined with the seasoning rub gives food an extra crispy crust. 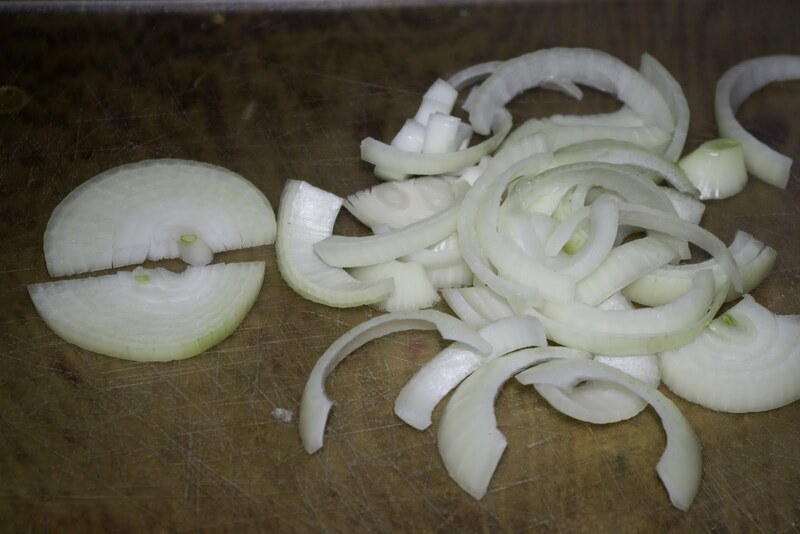 carve: To cut food, usually meat, into smaller pieces. combine: To mix two or more ingredients together until they do not separate. cream (verb): To beat an ingredient or combination of ingredients until the mixture is soft, smooth and "creamy." deglaze: After food (usually meat) has been sautéed and the food and excess fat removed from the pan, deglazing is done by heating a small amount of liquid in the pan and stirring to loosen browned bits of food on the bottom. The liquid used is most often wine or stock. 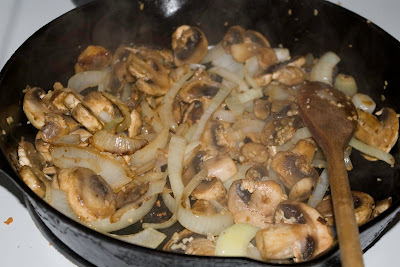 The resultant mixture often becomes a base for a sauce to accompany the food cooked in the pan. firm ball stage (candy): 245°F – 250°F. Drop a little of this candy in cold water and it will form a firm ball, one that won’t flatten when you take it out of the water, but will flatten when squeezed. hard ball stage (candy): 250°F – 266°F. When candy is dropped into cold water it will form a firm ball, one that will only deform under firm pressure. grind: To reduce food to small particles. Food can be ground to various degrees — fine, medium and coarse. meal: 1. The coarsely ground seeds of any edible grain such as oats or corn. 2. Any dry, ground substance such as bone or dried fish meal. pan fry: To cook food in hot fat, which doesn't cover the food, over moderate to high heat. 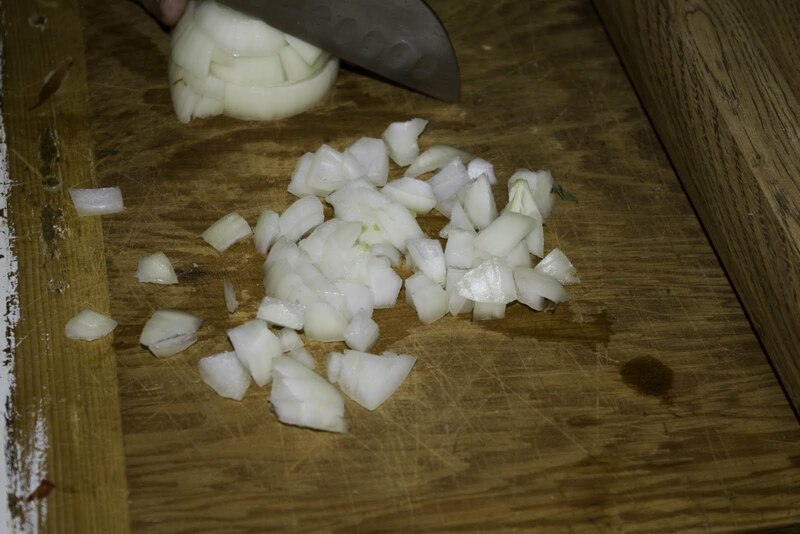 reduce: To boil a liquid (usually stock, wine or a sauce mixture) rapidly until the volume is reduced by evaporation, thereby thickening the consistency and intensifying the flavor. Such a mixture is sometimes referred to as a reduction. resting: Roasted meats should not be served straight out of the over, but should be allowed to rest in a warm place for 20 to 30 minutes, loosely covered with aluminum foil. scald: 1. A cooking technique — often used to retard the souring of milk — whereby a liquid is heated to just below the boiling point. 2. To plunge food such as tomatoes or peaches into boiling water (or to pour boiling water over them), in order to loosen their skin and facilitate peeling. Also referred to as blanch. separate eggs: To separate the egg yolk from the egg white. shell: o remove the shell or tough outer covering of a food such as nuts, eggs, garden peas, etc. shred: To cut food into narrow strips, either by hand or by using a grater or a food processor fitted with a shredding disk. 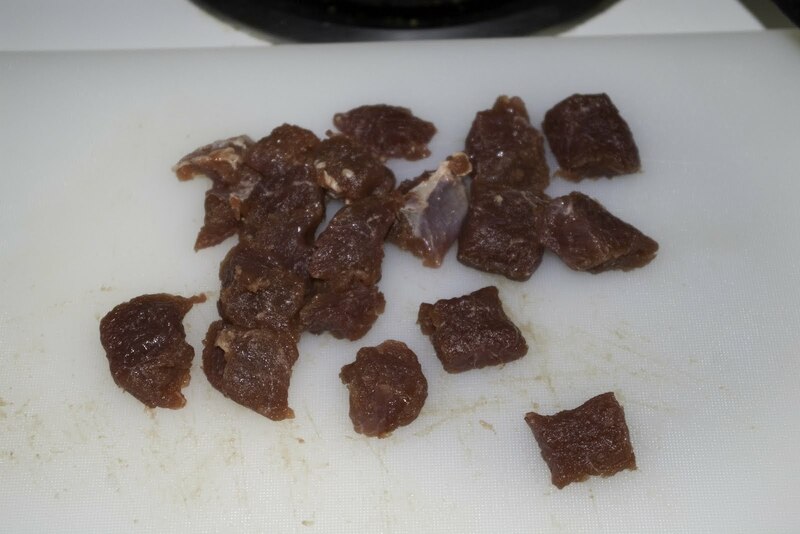 Cooked meat can be separated into shreds by pulling it apart with two forks. sift: To pass dry ingredients through a fine-mesh sifter so any large pieces can be removed. Sifting also incorporates air to make ingredients (such as confectioners' sugar or flour) lighter. simmer: To cook food gently in liquid at a temperature (about 185°F) low enough that tiny bubbles just begin to break the surface. soft ball stage (candy): 235°F – 245°F. When candy is dropped into cold water it will form a soft, flexible ball. If you remove the ball from water, it will flatten like a pancake after a few moments in your hand. steep: To soak dry ingredients such as tea leaves, ground coffee, herbs, spices, etc. in liquid (usually hot) until the flavor is infused into the liquid. stew (verb): A method of cooking by which food is barely covered with liquid and simmered slowly for a long period of time in a tightly covered pot. thread stage (candy): 223°F – 235°F. When you drop a little of this candy mix into cold water to cool, it forms a liquid thread that will not ball up. toss:To turn pieces of food over multiple times, thereby mixing the ingredients together. The term is most often applied to salad, where various ingredients and the salad dressing are tossed together, mixing the ingredients and coating them with the dressing. whisk (noun): A small culinary instrument made of wire, or the like, for whisking or beating eggs, cream, etc. zest: The perfumy outermost skin layer of citrus fruit (usually oranges or lemons). Only the colored portion of the skin (and not the white pith) is considered the zest.